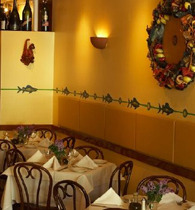 Meet up with other Meetcha singles at this cozy NYC Italian restaurant. Then wander the streets of NYC and get to know each other. Do some holiday shopping, enjoy the city!